All photos courtesy of Montpelier Plantation & Beach. 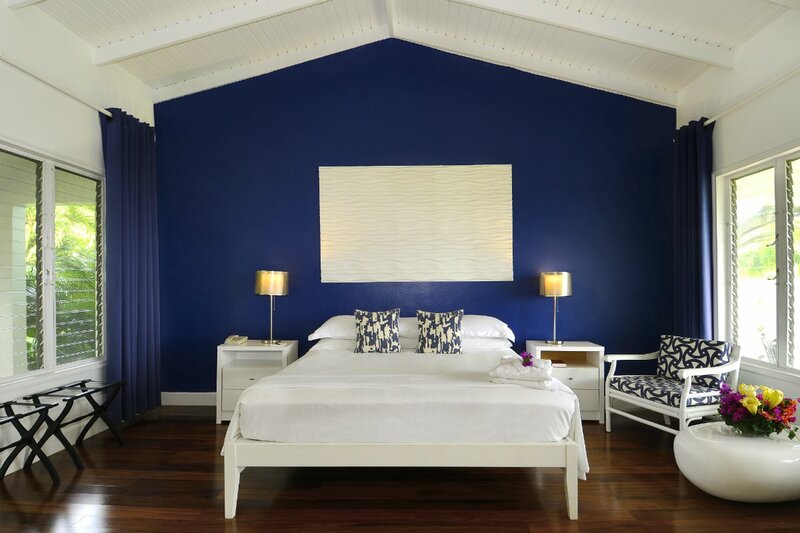 On the tiny Caribbean island of Nevis, a small, 19-room boutique hotel is the antithesis of all-inclusive resorts. The staff prides itself on knowing your name. The restaurant has three tables. And the pace is slower than slow, in the best way possible. NEVIS, the Caribbean – “I always say, Nevis isn’t for everyone,” said the general manager upon my arrival to the Caribbean island. With few accommodation offerings, no ritzy restaurants that line the beach, and roads (filled with potholes) that are frequented by roaming cows and goats, she had a point. I’m not one of those people; Nevis is definitely for me. 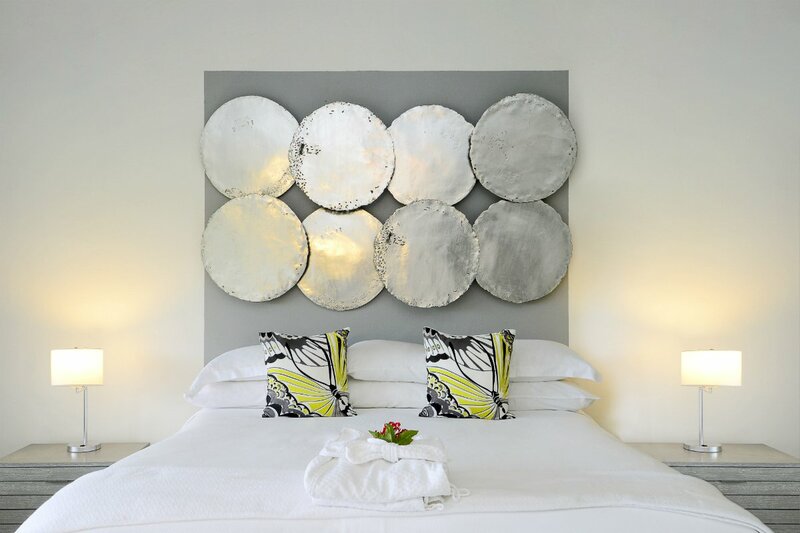 At , the small boutique hotel centered around an old sugar mill and giant fig tree, everything moves at the pace of a coconut frond blowing in a gentle breeze. The hotel is low-key, laid-back, and homey as hell – key ingredients to a perfectly relaxing vacation. Rates change seasonally and typically start at $235 per night. . Or get in touch with the , and we can plan your trip for you. 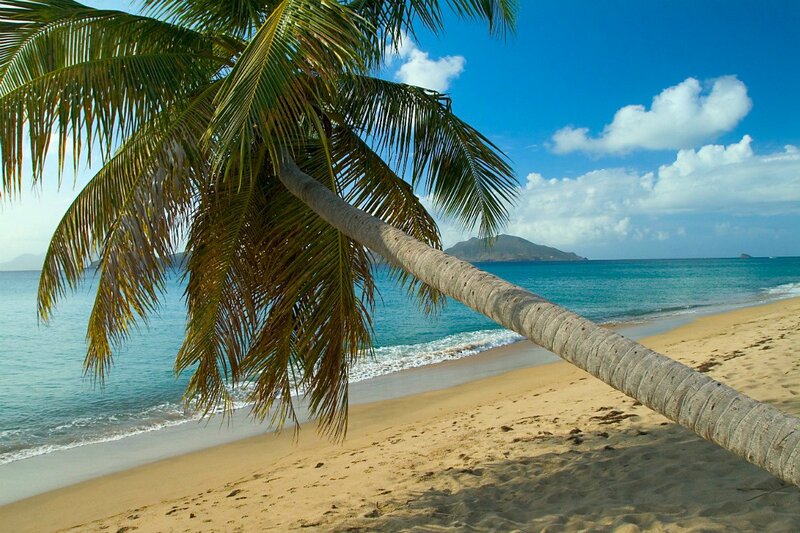 Nevis is the sister island to St. Kitts — both islands are located between Montserrat and Anguilla in the Caribbean. 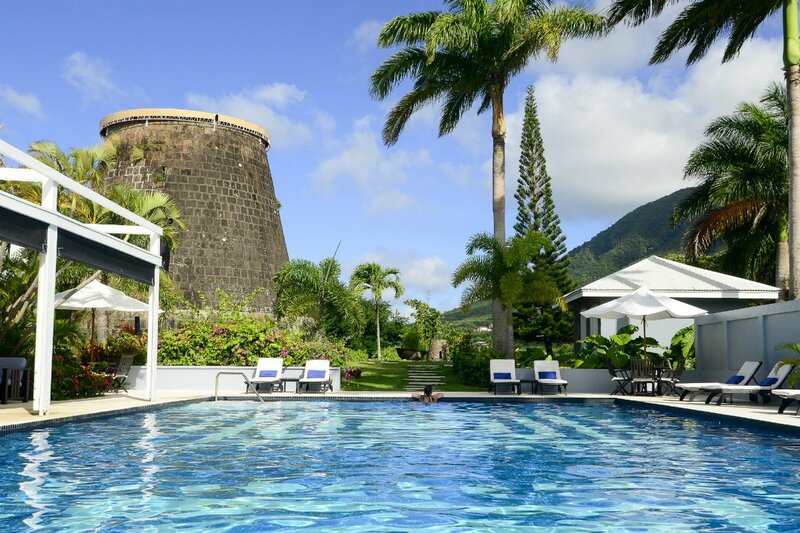 The hotel is set on a former sugar plantation with Mount Nevis as the backdrop. A ramped-up version of your family beach house. 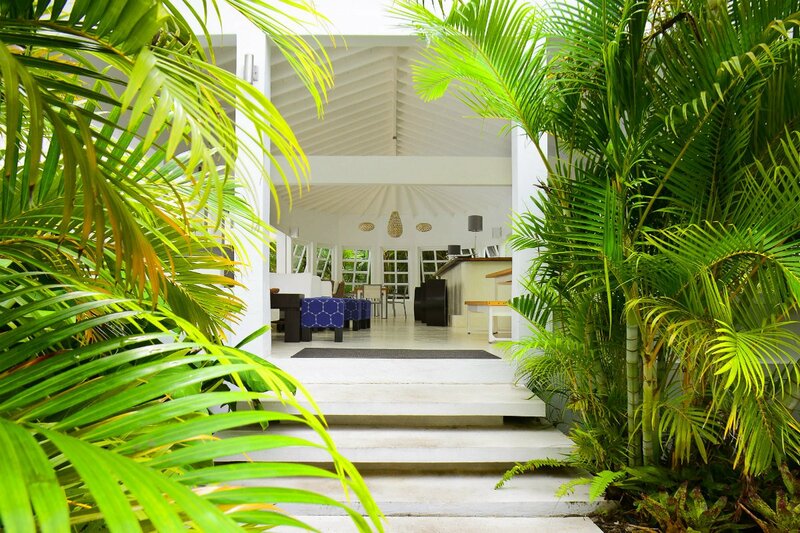 At the entrance, guests are greeted by a giant fig tree and a 300-year-old sugar mill. The main stone building, home to the lounge (dotted with bright couches perfect for a relaxing rainy afternoon) and dining areas, is a showstopper. The rooms are bright and simple and have four-poster beds lined with fresh white cotton sheets and oversized feather pillows. It’s upmarket but not stiff (as in, you won’t mind getting sand in your room or walking around the property barefoot). The hotel’s laid-back approach. You'll feel like you are on a proper vacation. Someone who wants to really disconnect. The hotel is small and intimate with a handful of local staff members (who you will probably get to know by name). Days begin with a swim in the pool and end with a cocktail on the beach. Someone who is looking for a five-star resort with swift service and staff members who can tend to every whim. 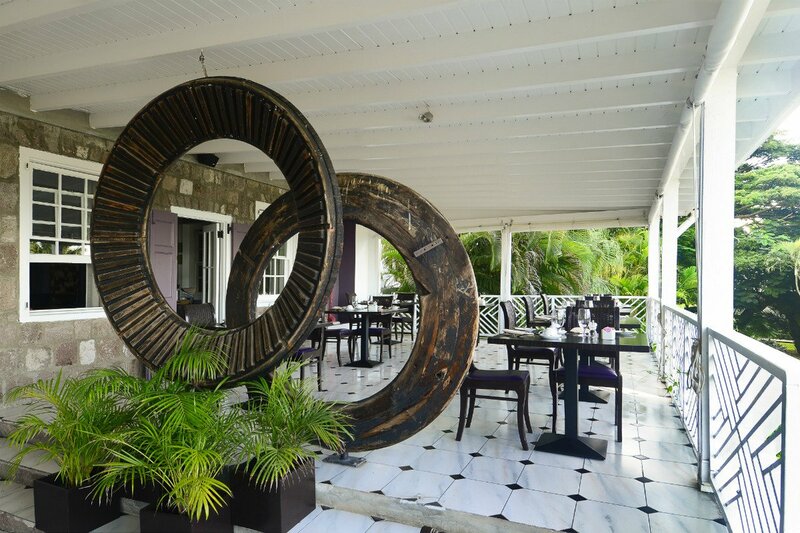 Montpelier Plantation & Beach is the antithesis of a resort. 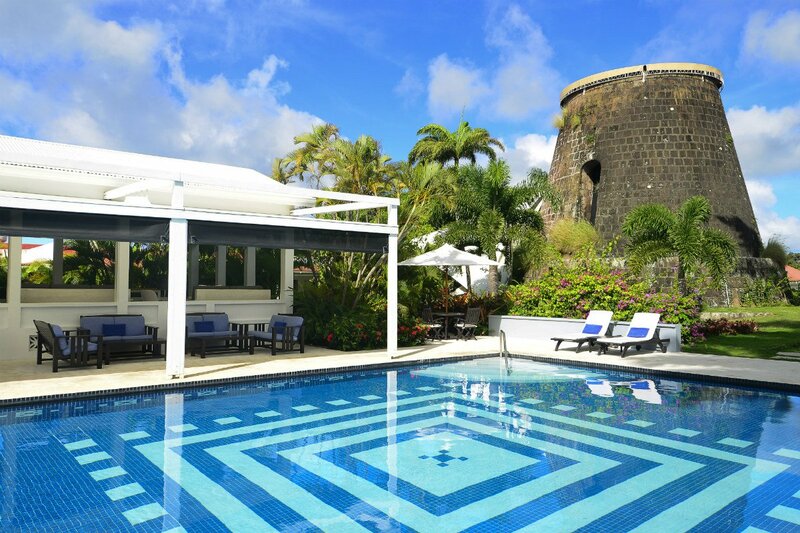 The gleaming blue pool is hard to miss (it sits right below the sugar mill), but don’t forget the beach: The hotel has a shuttle that transports guests down to a strip of beach where you can laze on sun loungers and work your way through afternoon cocktails. There’s no gym (a morning run along the sand, perhaps?) and while there isn’t a traditional spa, there is an outdoor "spa area" where a skilled masseuse administers massages in front of the ocean. 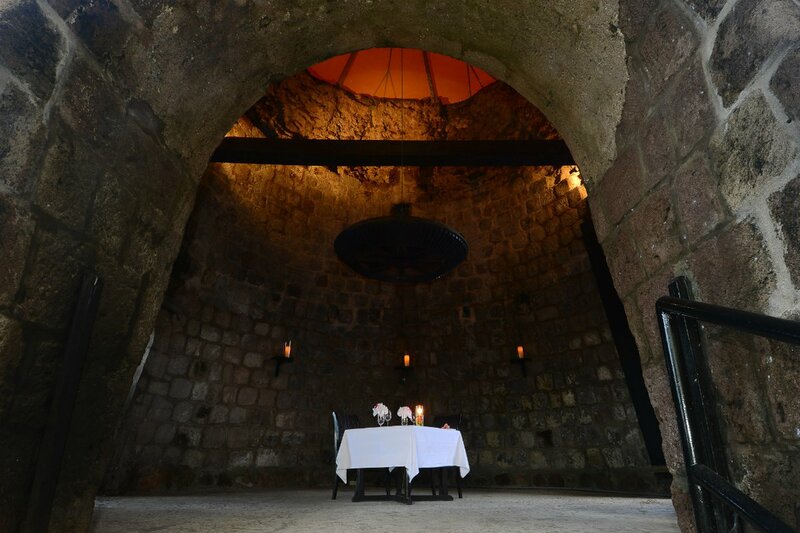 A meal at , located inside the 300-year-old candlelit sugar mill, is a must. There are only three tables available, so make sure you book in advance. Lunch is available by the pool at (picnic baskets can also be taken to the beach) and dinner is either around the pool, at on the outdoor terrace, or on the beach (they host a weekly BBQ). Don’t sleep in too late and miss the homemade yogurt and fresh fruit at breakfast, which is included with your reservation. 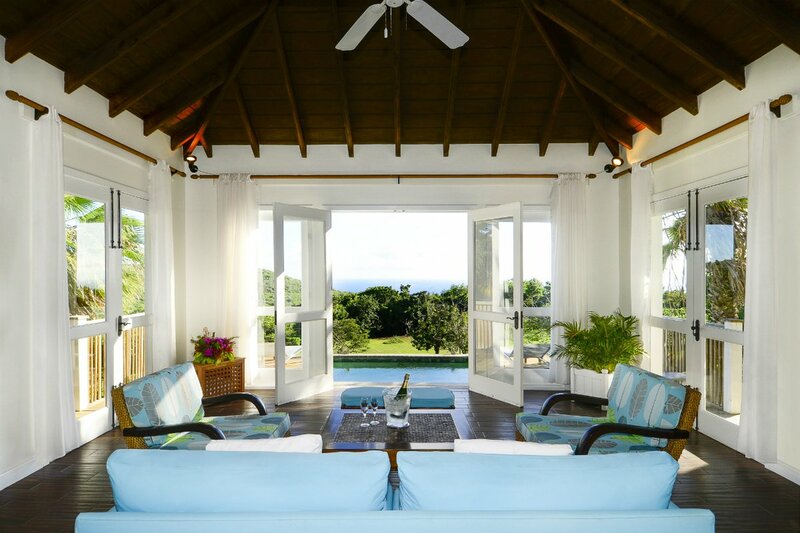 19 rooms are located around the property and range in size and style, from premier rooms to villas. They are all light and bright with high ceilings and windows on either side that create a lovely draft — perfect for an afternoon nap. You’ll find Egyptian cotton bed sheets, bath products from Bee Kind and Gilchrist & Soames, a fridge filled with water and snacks (and a mini-bar upon request), a hair dryer, ironing board, and free WiFi. You have to take a shuttle to the beach. But when you get there, you'll find that it is worth it. Grab lunch from nearby Passion Bar and Grill. The menu is small and the service is slow, but who cares? You’re in the Caribbean. Order an ice-cold beer and fresh fish doused in Creole sauce. There are bikes available at the hotel, so why not earn your afternoon cocktail by cycling down to the beach? Or book a guide for a hike up Nevis peak (the hotel can organize this). There are plenty of hikes up and around the lush, thicketed mountain, so you don’t have to go all the way to the top. Nevis is tricky to get to, so be sure to organize your transfers to the hotel in advance. You can fly direct from New York, Newark, Miami, Atlanta, and Charlotte, NC to St. Kitts. From there, the boat ride to Nevis takes about 20 minutes, and these legs of the journey can be arranged by the hotel. The hotel shuttle is available for beach trips, otherwise there are local taxi services available. Mary is a South African writer and editor based in New York City. Formerly an editor at GQ South Africa, she now writes about lifestyle and travel. You can follow her on . She travels for the buzz of experiencing new (and old) people and places, because the world is an excellent place.